Americans will spend $5.3 billion on green apparel, Guinness beer and more. Retailers and restaurant owners have found their pot of gold. With St. Patrick’s Day falling on a Friday in 2017, Americans are expected to drink Guinness and buy green-tinted everything well into the wee hours. Call it fortunate timing or luck of the Irish. Either way, the National Retail Federation estimates that more than 139 million Americans will spend a total of $5.3 billion this weekend, the highest in survey history. "Now that winter is almost behind us and with St. Patrick’s Day falling on a Friday, we will see more Americans getting together to celebrate with friends and family," NRF President and CEO Matthew Shay said in a press release. 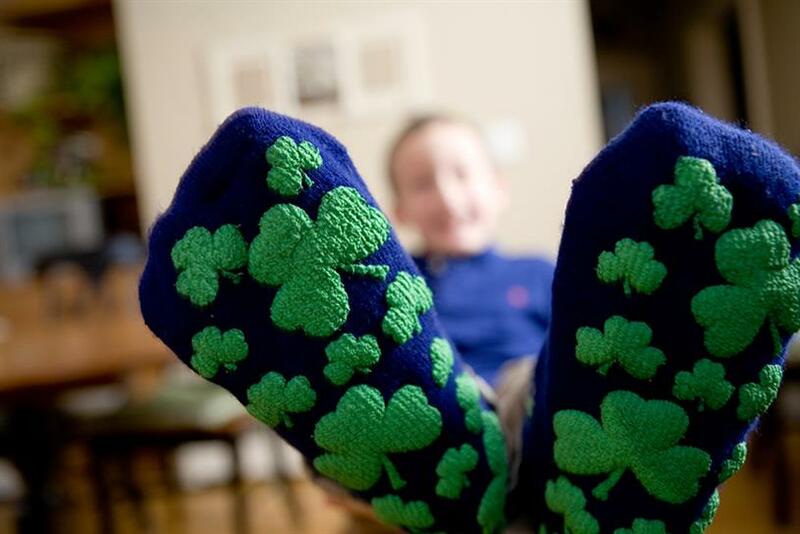 Starting in 2007, the NRF and research company Prosper Insights & Analytics have interviewed approximately 7,500 consumers annually about their St. Patrick’s Day plans. When they first launched the survey, March 17 fell on a Saturday and carried an estimated spending of $3.8 billion. Since then, American consumer spending on the holiday has proved inconsistent, dipping to $3.3 billion during the 2009 recession then climbing to its second highest, $4.8 billion, in 2014. But this year marks the first time consumer spending is expected to surpass $5 billion, and millennials are leading the charge, according to Prosper Insights principal analyst Pam Goodfellow. She says that 77 percent of 18- to 24-year-olds plan to celebrate St. Patrick’s Day, but notes that this age group is not the holiday’s biggest spenders. That would be the group of legal-drinking-age Americans aged 25-34, who are expected to dish out an average of $46.65 each, compared to the national average of $37.92 per person. In fact, alcohol represents the second largest spending category with 41 percent of celebrants saying they will purchase beverages this Friday. Other ways Americans expect to show their Irish pride include buying food (52 percent), decorations (22 percent) and candy (14 percent) at grocery stores (39 percent), discount stores (29 percent) and bars/restaurants (21 percent). While 83 percent of respondents said they intend to wear green on St. Patrick’s Day, only 28 percent said they’ll buy clothing specifically for the holiday, with 18 percent saying they’d spend money at a department store. Regardless, Shay says, "Retailers should expect a nice boost in sales as consumers purchase apparel, decorations, food and beverages to help make their celebrations special."